During the 1930s and 1940s William Grant Still (1895-1978) was known as the "Dean of Afro-American Composers." He worked as an arranger for early radio, on Broadway, and in Hollywood; major symphony orchestras performed his concert works; and an opera, written in collaboration with Langston Hughes, was produced by the New York City Opera. Despite these successes the composer's name gradually faded into obscurity. 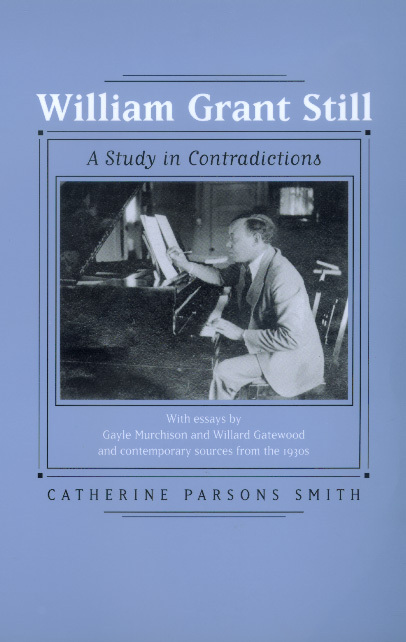 This book brings William Grant Still out of the archives and examines his place in America's musical heritage. It also provides a revealing window into our recent cultural past. Until now Still's profound musical creativity and cultural awareness have been obscured by the controversies that dogged much of his personal and professional life. New topics explored by Catherine Parsons Smith and her contributors include the genesis of the Afro American Symphony, Still's best-known work; his troubled years in film and opera; and his outspoken anticommunism. Catherine Parsons Smith is Professor of Music at the University of Nevada, Reno, and coauthor, with C. S. Richardson, of Mary Carr Moore, American Composer (1987).